One of the most distinctive tourbillon movements ever, the Tourbillon with Three Gold Bridges derives its signature aesthetic from the linear layout of the movement and the trio of horizontal bridges. Last year Girard-Perregaux unveiled the first Neo Tourbillon, replacing the traditional gold bridges with arched titanium bridges. Now the titanium bridges are matched with a titanium case coated in diamond-like carbon (DLC). 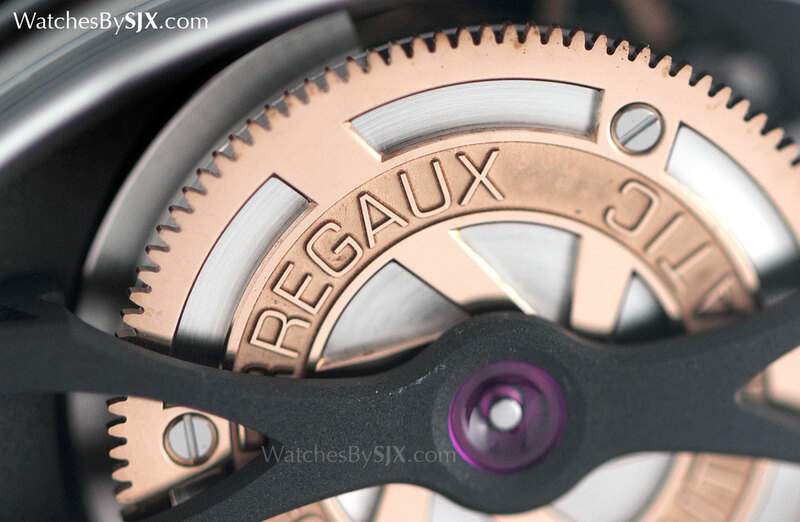 The concept of Girard-Perregaux’s tourbillon is brilliantly simple: the mechanism is laid out in a linear manner, starting with the gear train (or power source) at the very top, sitting under the first bridge. Transmission of power and time display is done by the gear rain, which is under the second bridge. 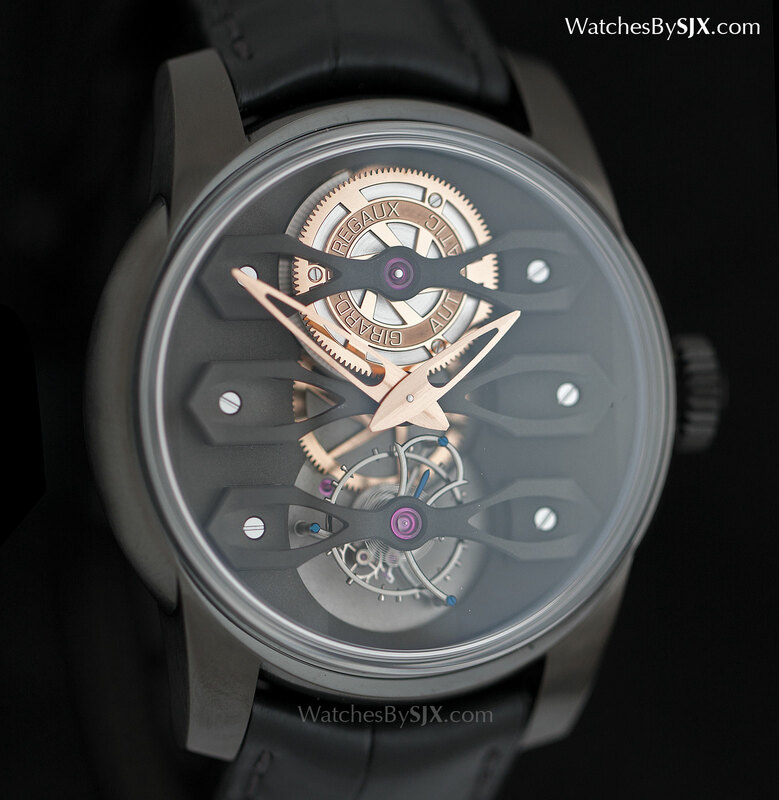 And the bottommost bridge is for the tourbillon regulator. 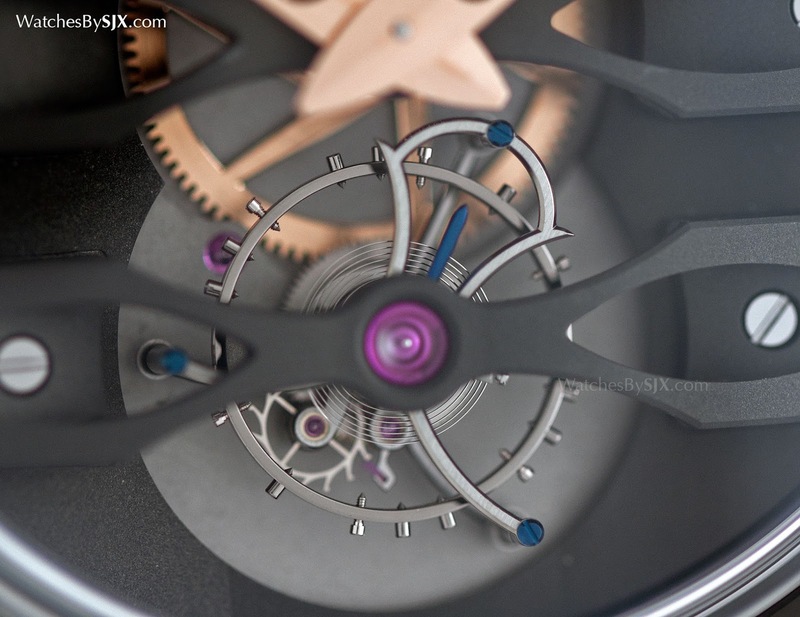 Mechanically the Neo Tourbillon is identical to the classic GP tourbillon, with the modifications being aesthetic, but they give the watch a completely different look. The titanium bridges are three-dimensional, produced via a milling machine, instead of being cut from a thin sheet of gold as is necessary for the traditional style of bridge. Because the bridges are made of titanium, and finished with a simple frosted surface, they are much less expensive to produce than the traditional gold bridge. 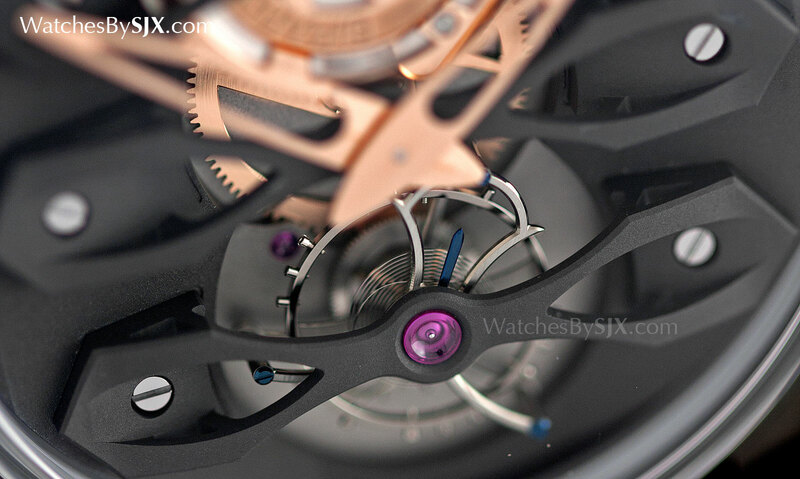 This is why the Neo Tourbillon costs significantly less than the tourbillons with gold bridges. DLC coating is applied to the bridges, and also the base plate. The matte black finish causes them to recede into the background, bringing the gold wheels, hands and tourbillon to the fore. 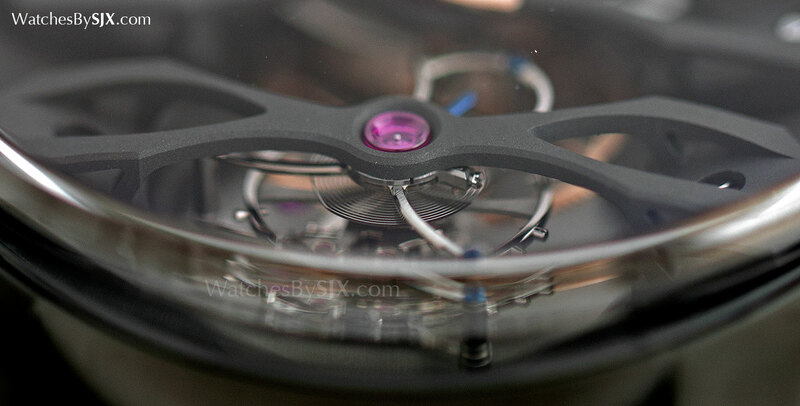 The view of the tourbillon is enhanced via the box-shaped sapphire crystal that sits directly on the case, with no bezel to obscure the view from the side. With most of the mechanics on the front, the back presents a less complex view, though several features are noteworthy. 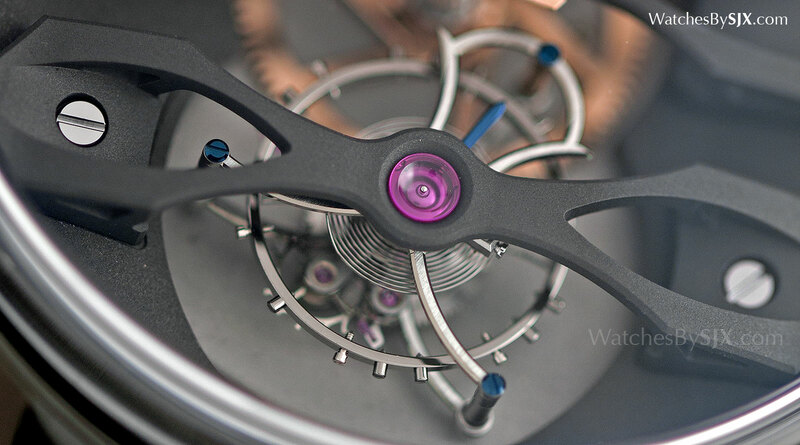 The grand sonnerie style winding ratchet is positioned at 11 o’clock is an elaborate and appealing detail, as is the the winding wheel with spokes that echo the shape of the tourbillon carriage. 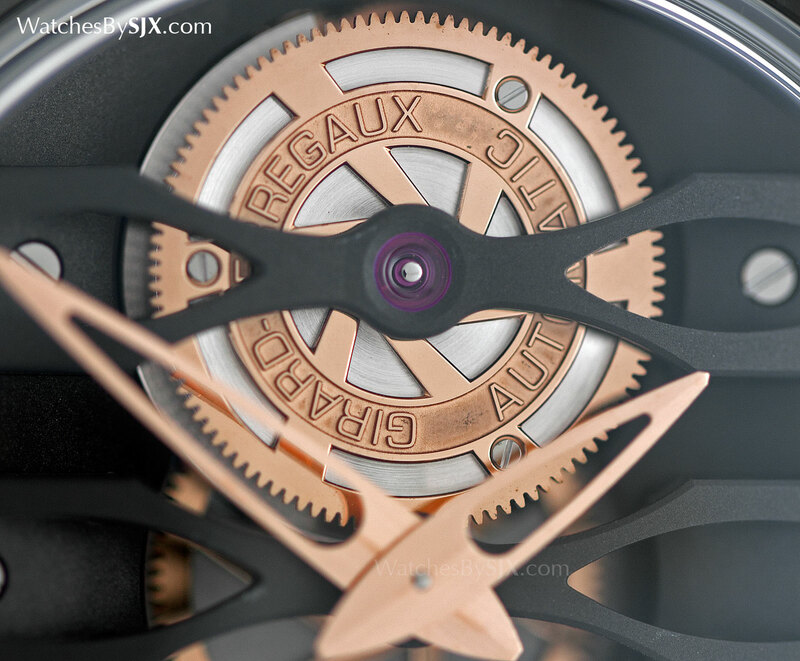 Up close the finishing on this wheel is exceptional, with the sharp points on the spokes demonstrating Girard-Perregaux is still capable of brilliant movement decoration. 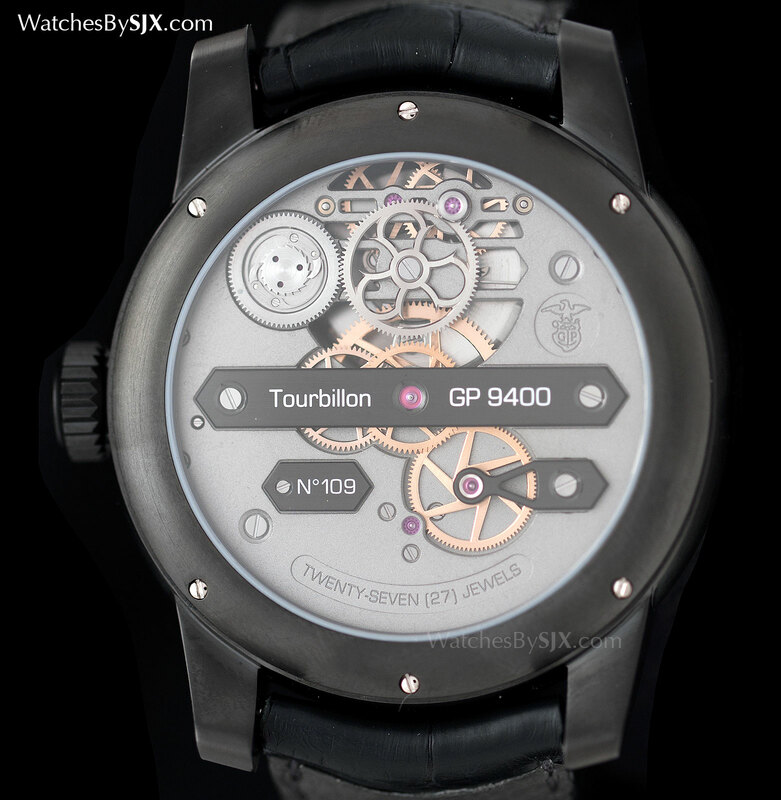 The Neo Tourbillon in DLC titanium is priced at 133,000 Swiss francs or 210,300 Singapore dollars (including 7% tax).